The fundraising amount will be used by Amit Kumar Jha to book his economy class return flight from Kolkata to San Diego (valued at approximately Rs 80,000 as per latest figures). The funds will be needed by the 30th of July, 2017. Amit Kumar Jha is my peer and a close friend. Ours is a private engineering college and we who bagged seats here were the 'average performers' of the JEE. But Amit was different from the rest. He was an achiever - whose achievements were so much more dearer because of his family's financial background. Our institution, like so many others in the country, followed a daily routine and forced us to mug-up guide books. I was bored, scared and started to feel like my fellow classmates were turning into machines - hungry for a job right from the first semester. But even in my mental paralysis, I realized I had a closely knit group of friends and together we could create an environment we needed to save ourselves. Amit was the ring-leader and we started the SPIE (The international society for optics and photonics) Techno India Student Chapter to converge bright research minds in one place. 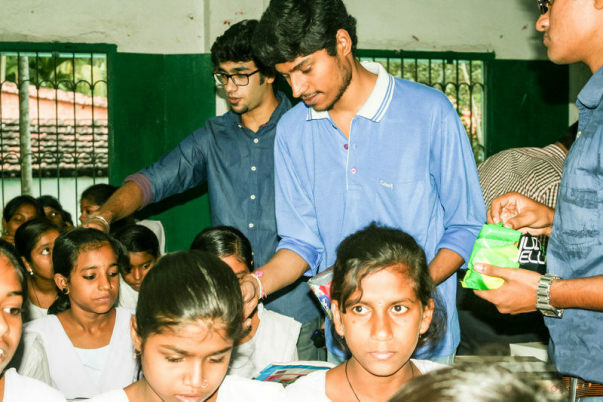 We organized many optics outreach awareness programs in schools, especially targeting students from marginalized sections. Amit was elected as the president of the SPIE Techno India chapter for the 2015-2016 and served the group with his full dedication. Amit created various small and large projects using the 3D hologram, the Lissajous figure generator, small optical instruments for demonstrating basic ray optics and wave optics etc. All such models have been used in our outreach programs and exhibition for school students lacking laboratory facilities. 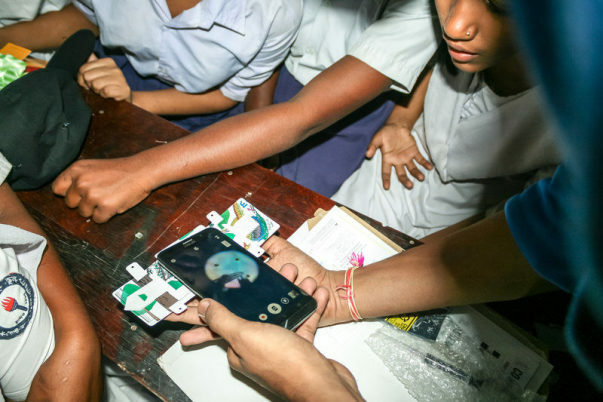 Under his leadership, the Foldscope awareness program developed by Prakash Labs, Stanford University (read our story) and the open-source litter of light project experienced a significant growth with positive effect in large scale outreach programs. Born into a financially weak but supportive family, Amit has been a proud survivor throughout his childhood. He built his own fast robo car at the age of 8 with wasted cans and toy motors. Amit has worked as a project trainee in the prestigious Saha Institute of Nuclear Physics, India under Prof A.N. 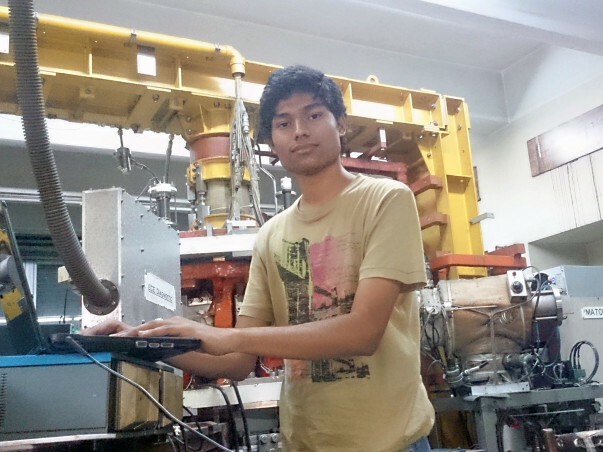 Sekar Iyengar in the Plasma Physics Division. 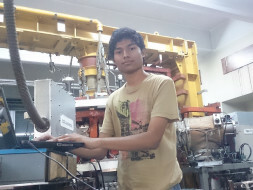 During the period of his internship he was successful in developing solvers that could run a real-time simulation for jerk and kadji equation. His current research interests lie in design and modelling of integrated optics circuits using the semi-analytical matrix method. He has been associated with this work for the past one and a half year and is working under Dr Rajib Chakraborty and Mr Saikat Majumder. The current research applies the matrix method to two newly proposed structures, namely- photonic spot profile converter for horizontal light coupling and bridge structure for vertical integration on SOI platform. The spot profile converter can have extensive sensing applications, especially for examining living cells using a slot waveguide. The bridge structure, on the other hand finds application in routing optical signals in optical communication industry. The above mentioned research could grab the chance of coming out as an undergrad paper. 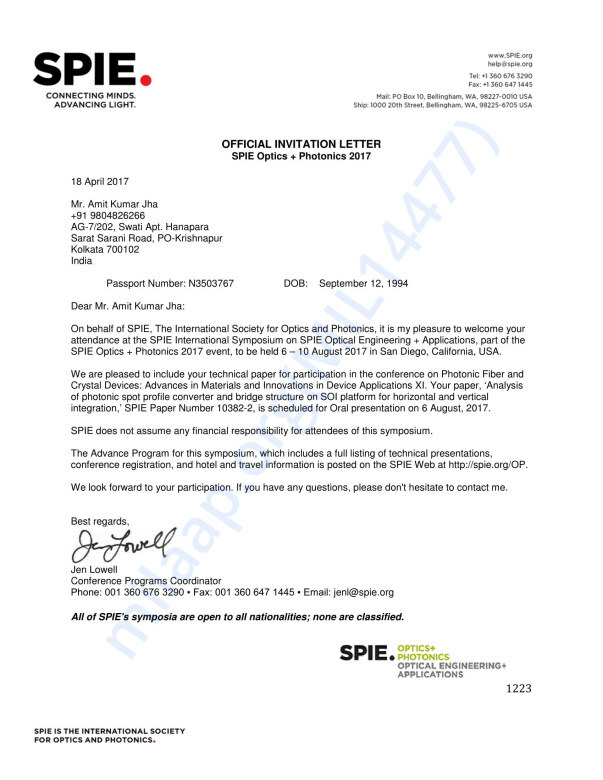 Having co-authored it myself, I can state that our paper was accepted as an oral presentation in the largest optical conference in the North America known as SPIE Optics + Photonics, 2017 to be held in San Diego. As mentioned before, Amit’s financial status does not let him to attend the conference and present his paper. His father being a humble teacher of a school for poor kids earns only Rs 3,000 (46.49$ approx.) per month. His luck never favored him before and being an atheist he believes in his effort to the fullest. But this time, it is impossible for him to self-finance the trip. We are his close friends are trying to pay his registration fees by gathering our pocket money which itself is a whopping amount of $350. Leaving ou, we do not have any other source to pay for his trip at this moment as our institution has not agreed to help us. Therefore, we are reaching out to you for a cause that matters to us. Scientific research is a truly global phenomenon, and that by nurturing young minds like Amit by providing them a platform to excel such as this prestigious international conference, can go a long way in uplifting the scientific establishment of India. It is my humble appeal to all readers, please donate any amount you feel suitable to this noble cause. Your generous help will allow a bright mind, crippled by poverty, live his dream. With immense please we share with you that Amit has submitted his manuscript for the conference. He is pumped up as this will be his first trip abroad. He is preparing for the conference with every passing minute and making changes to his presentation. He will be leaving for San Diego on the 3rd of August. He is super excited about this conference and all the bookings have been done. In spite of all the preparations, he is a little nervous and seeks your wishes for his presentation. We will keep you posted further and will let you know once the paper is available online. Thank you for this overwhelming love and support you have shown towards Amit. Thanks to all our donors and supporters, the Internshala team and Milaap for the #sapnokiudaan scholarship. Our paper is ready to be submitted on or before 10th of July. The fund received will be used for purchasing flight tickets for Amit's travel to San Diego. Hello everyone! It’s been quite some time, since we posted our fundraiser, and I would like to take this opportunity to thank all donors who’ve reached out to us through their love and generosity. We feel humbled and overwhelmed by the support, which they have offered to Amit. As you would know by reading the stats on our campaign page, that despite your wholehearted support, we are still well short of reaching our mark and that is why, I would like to request you all to share this fundraiser with your friends and family, and if possible, raise funds my running a support campaign. Despite the mixed response and financial difficulties, Amit has made great progress with the paper, which we would like to share with you in brief. Amit is currently in the final process of preparing the manuscript, and fine tuning the computer code, in order to get the desired results and graphs. Once ready, he will submit the manuscript by the 10th of July, and then move on to preparing the slides for the oral presentation. As mentioned before, two structures have been designed: the photonic spot profile converter for horizontal light coupling, and bridge structure for vertical integration, both on the CMOS compatible SOI platform. Initially, the spot profile converter was simulated using the semi-analytical matrix approach, and more recently, the bridge structure too, was simulated successfully using the same technique, which is fast and requires less memory. The relationship between the waveguide parameters and the optical characteristics was studied and inferenced were drawn. The simulated results have been found to strongly agree with the theory. In the years to come, the spot profile converter has the potential to be commonly used in various bio-chemical sensing applications, while the bridge structure can be used for optical signal routing in optical communication. The proposed structures can soon find their way into commercialization via patent and fabricated in large-scale, for various sensing and photonic applications. 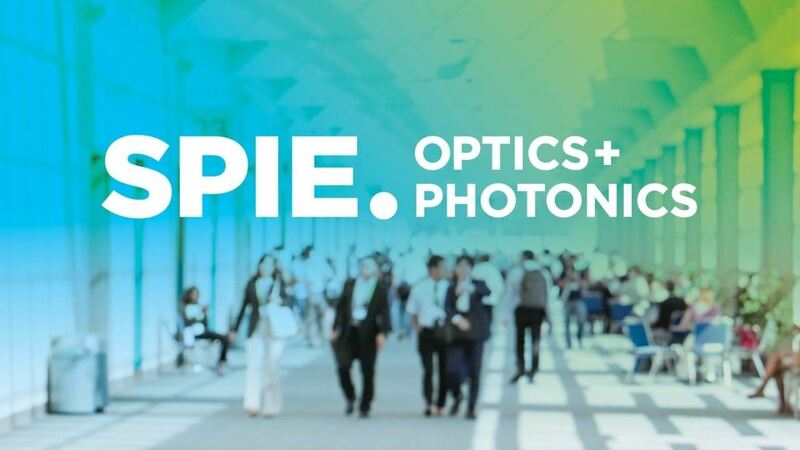 We would like to also let you all know, a few salient features of the SPIE Optics+Photonics symposium, where Amit’s paper has been selected for oral presentation. It is the largest multidisciplinary optical sciences meeting in the whole of North America, and has an attendance of over 20000. It is the meeting where the latest research in optical engineering and applications, nanotechnology, sustainable energy, organic photonics, and astronomical instrumentation is presented. 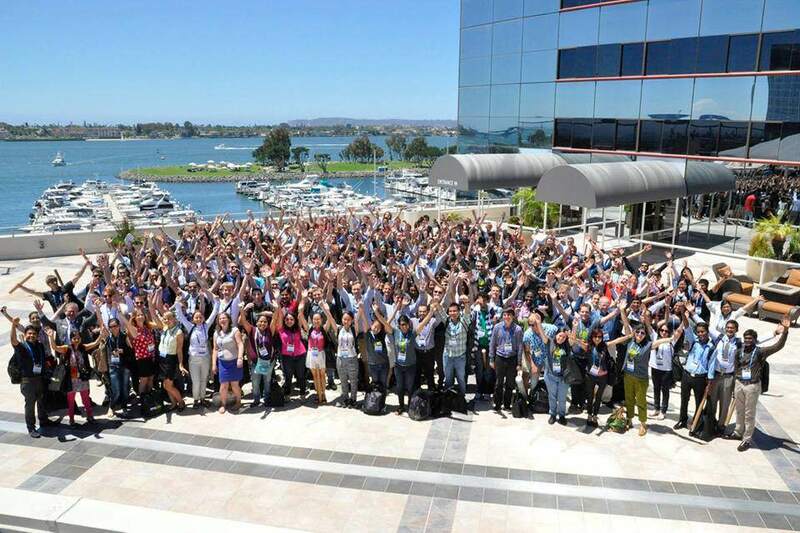 This meeting lays special emphasis on student networking events, and is home to the world’s largest optics and photonics student leadership workshop. 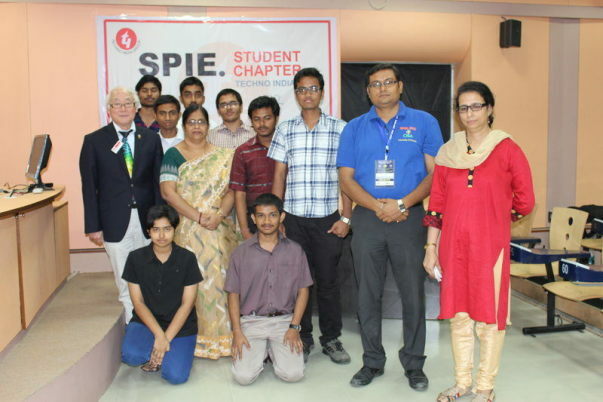 It also features an optical model making contest known as the annual optics outreach games, and a poster session highlighting optics outreach activities by institutes across the globe. Thank you once again for all the love and support. It's a pleasure to know you, buddy. All the best! Good luck Amit! Go conquer your dreams!